Good morning darlings! I hope you all had a wonderful weekend! We spent Saturday evening and Sunday at my in-laws lake house soaking up some sun with the temperatures finally back to "summer" versus "fall". While I'm not complaining that the weather is back to the fantabulous 80's and 90's I am still on an autumn kick. I'm craving warm apple ciders, cute fall heel boots and dark nail polish so I decided to go with a dark color for my nails for this week. 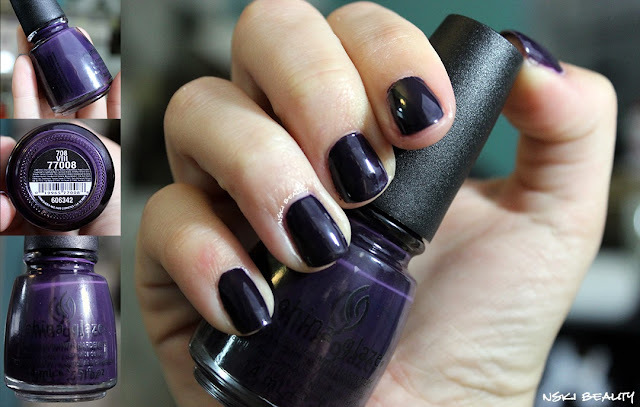 I'm even starting to debate dark nails for my wedding... perhaps even black. Thought? Would you wear black nails to your wedding? Any who for this week's nails I decided to go with China Glaze's VIII from the X Collection . I originally purchased this color when I created the Dragon's Nail manicure weeks ago but it has been sitting in my nail tub looking lonely for some time so I thought I'd haul him out. 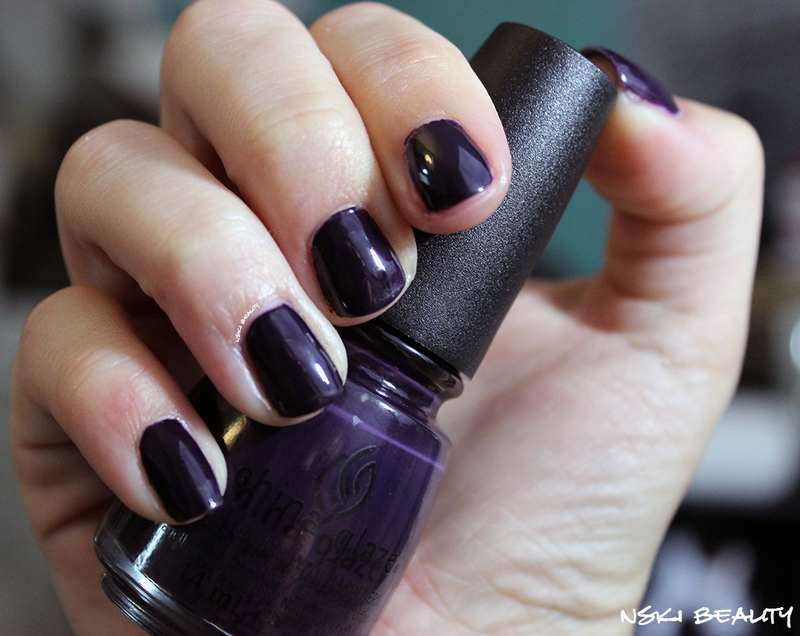 It's a rich creme plum color with a blue base that appears black in darker lighting and was exactly what I was looking for for this week's mani. I went with my usual two coats of color and topped it off with Seche Vite to a high gloss shine.